HIT! 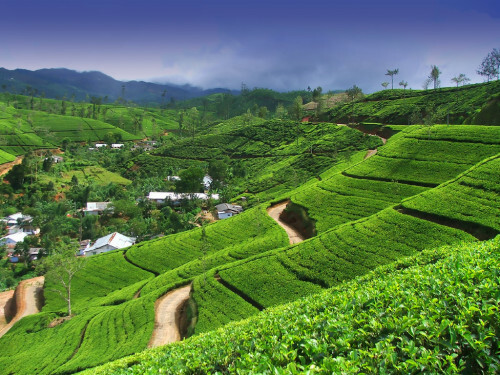 Really cheap flights to Sri Lanka: Colombo for only €218! Air Serbia now offers really cheap flights to Sri Lanka from Italy. Multicity tickets Rome – Colombo – Frankfurt are available for only €218! You can return also to Berlin for €231 or to Vienna for €262. Normal price on this route is around €600! Travel dates are from January until July 2015. 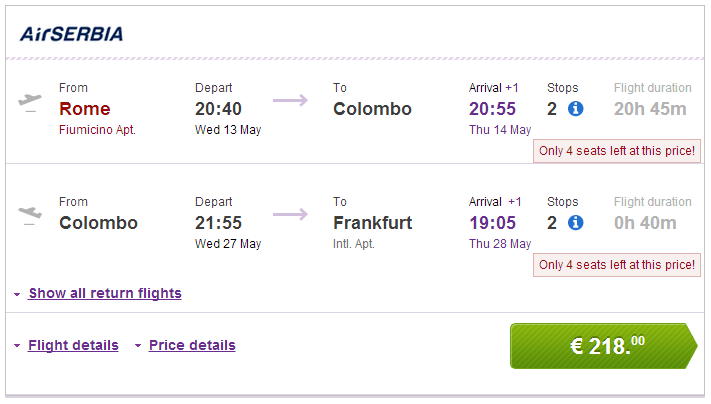 Book via Vayama to get this price (click on Show extra search options to enter return to Frankfurt). Hi. What are the available dates in July? Many thanks in advance.